The Massey Hall concerts are also scheduled to be captured on film by director Jonathan Demme, as the final installment in a concert film trilogy, joining 2006’s Neil Young: Heart of Gold and 2008’s Neil Young Trunk Show. Pre-$ales info can be found in the usual location. The Massey Hall concerts are also scheduled to be captured on film by director Jonathan Demme, as the final installment in a concert film trilogy!!!!!!!!!!!!!! is 'A Treasure' up for preorder anywhere yet? supposed to be yesterday right? Rumour has it this date has changed into May 12...? A Treasure vinyl, not Massey Hall. So, we'll be seeing a home video release of Twisted Road in 2015 then? Can't wait! I'm still waiting to see Trunk Show myself. What's up with that?! Damnit. Just ordered my two LP, 180 gram copy of Treasure from Neil's garage! I'm psyched the Twisted Road will be filmed and presented in such a grand fashion. Demme is a true pro, as was witnessed on Heart of Gold. I believe the Twisted Road/Le Noise period will go down as a huge highlight in Neil's career. 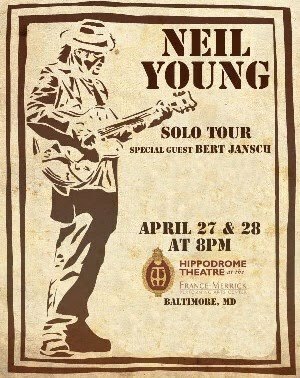 I'm so curious if Neil will change the set list this time around! I'm hoping for a couple very rare gems! I'm with Spoulson1- where's the Trunk show?! I really want to not only view the film but see it on the shelf next to Heart of Gold (and the Le Noise Moive)! Release Trunk Show!